At a certain point in the growth of your business, it’s time to expand the capacity of your team. That’s an exciting milestone, but can also be intimidating. It can be even more so if you’re considering hiring freelancers that will work remotely, under little supervision. To have the best chance of expanding your team successfully, there are operational and legal considerations you should take into account. Here are some of the main factors to weigh to help you make the sound choice. Remember, you can always maintain a mix of relationships with regular employees and independent freelancers to help keep your customers happy and your business growing. Here are five things to consider when choosing between new employees and freelancers. 1. How much will this cost? Typically, a contractor will have a higher hourly rate than an employee. However, that hourly rate doesn’t factor in many other costs associated with a permanent employee, and you may save money by not having to pay those costs. Costs for social security and Medicare taxes as well as workers’ compensation insurance do add up, and they are not negotiable. Neither is a regular paycheck on a designated payday. Contractors typically invoice for their work, and the payment schedule may work better with your business cash flow than the bi-weekly commitment of an employee. This will depend on the ebb and flow of your particular industry or business, so consider what your monthly cash flows look like when factoring in the cost of adding new talent to your roster. 2. How much control will you have? Although professional contractors usually want to provide excellent service, you do not control their activities. By definition, an employee takes your direction and you can place greater demands on the job they perform. In fact, the extent to which you direct the day-to-day activities of a worker is one way the law decides whether a contractor is, in fact, an employee. The IRS says someone who works with a freelancer directs the result of work, not what and how they will do it. Otherwise, the IRS considers that individual an employee for business taxation purposes. If you want to get clarification early on in the relationship, you can ask the IRS to confirm you are working with an independent contractor. Misclassifying employees or contractors can leave you liable for employment taxes at a later date, so it doesn’t hurt to be cautious. 3. How much responsibility will you assume? Once you enter into an employer-employee relationship, labor laws and regulations kick in. This protects your staff and also places certain responsibilities on you as an employer. Your obligations vary depending on the number of employees and vary from state to state, but in general, you must comply with workplace health and safety laws, minimum wage regulations, deduct payroll taxes and respect anti-discrimination policies. 4. What will your obligations be? Even when hiring someone with relevant experience, you will need to train any new employee, while a contractor is expected to come to the job already qualified and ready to start right away. Later on, the obligation you have towards an employee doesn’t stop when you decide it’s just not a perfect marriage and you want to end the relationship. If your relationship with a contractor is not to your liking, you can simply opt not to hire them again, or choose to dissolve the contract. Firing an employee is often more complicated. If you do not have cause to fire someone, you may owe them compensation upon their departure from the company. 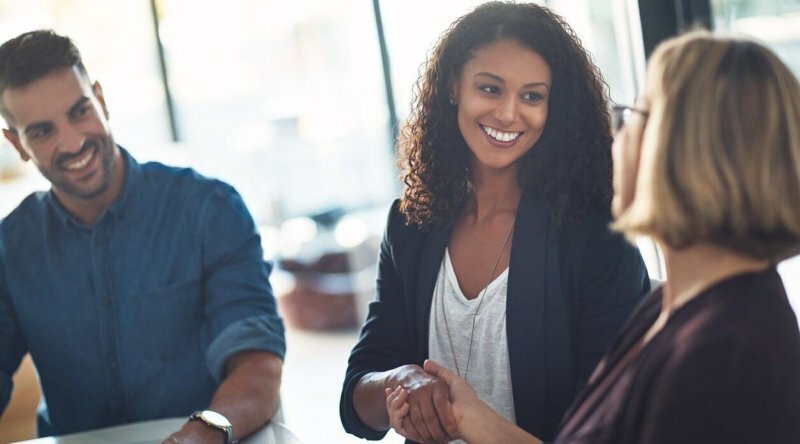 These are just a couple of the ways that hiring employees creates more commitment on your part. 5. What skills will you gain or train? When you hire a freelancer, you generally partner with someone who’s already a pro at the precise tasks you need done. One of the benefits of working with contractors is that you can get access to specialized talent and experience that you need right away. On the one hand, when you outsource a portion of your operations to a company that focuses on a niche service, you have the benefit of their in-depth knowledge. On the other hand, if you predict that you’ll need these tasks done often in the future, it may be worth it to hire an employee and build that knowledge and experience within your company. Sometimes investing in employees pays off in the long run, allowing you to nurture in-house experts who can help you respond to needs faster, or build stronger customer relationships. As your business expands, it’s useful to maintain a list of reliable contractors who can provide services on a temporary, project-related basis. If you have a consistent need for more talent to meet the demands of your customers, you may want to bring on more part-time or full-time employees. The decision to bring on a freelancer or employee depends on your capacity to scale the business. It’s a question that you will continue to consider as your company grows in size. Irene is a business content strategist with Fundbox, passionate about working with entrepreneurs and mission-driven businesses to bring their stories to life. Fundbox is dedicated to helping small businesses grow by democratizing access to credit.